On January 29, 2015 – Luzon Renewable Energy Corp. (NLREC), a subsidiary of AC Energy Holdings, Inc., turned over to the Provincial Government of Ilocos Norte P6.2 million worth of health, sanitation, and livelihood assistance which will benefit priority areas and communities of Ilocos Norte. Health and sanitation assistance consisted of assorted medicines and 100 toilet bowls, which will go to the various municipal health offices and public schools, respectively. 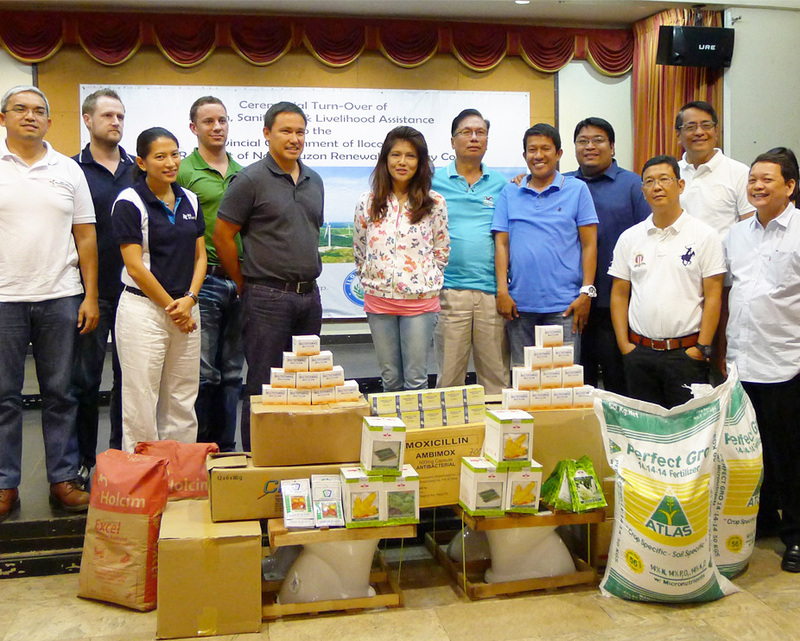 Livelihood assistance in the form of 1,100 sacks of complete fertilizers and assorted vegetable seeds will go to Ilocano farming communities. NLREC likewise donated 12,500 bags of cement to help augment the needs of the province in its rebuilding program after the devastating impact of Typhoon Mario that hit Ilocos late last year. NLREC continues to work closely with the provincial government of Ilocos Norte under its three-year Corporate Social Responsibility Program which started in 2014. Present during the turnover ceremony were Ilocos Norte Governor Imee Marcos, members of the Provincial Board, NLREC Chief Operating Officer Miguel de Jesus, and representatives from AC Energy Holdings, Inc. and UPC Renewables Corp.